The rollers are made of steel, stainless steel, aluminium and other materials like Carbon Fibre (Cfk rollers). A combination of various materials is also possible. As a result, further weight saving or wear resistance with retention of functionality is possible. 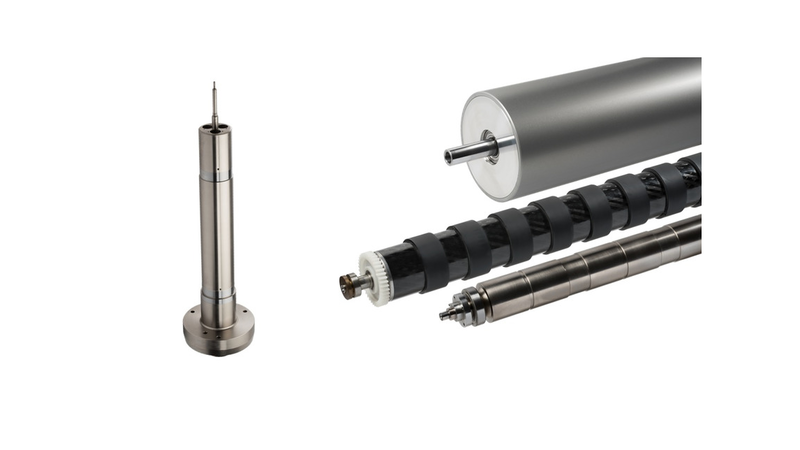 Our rollers are used in all market segments of the manufacturing industry. All rollers can be provided with surface treatments, heat treatments and coatings. For specific market segments we can provide the rollers with rubber or plastic rings. In addition, we also purchase parts on our rollers such as bearings, gears, drums or DIN standard parts.